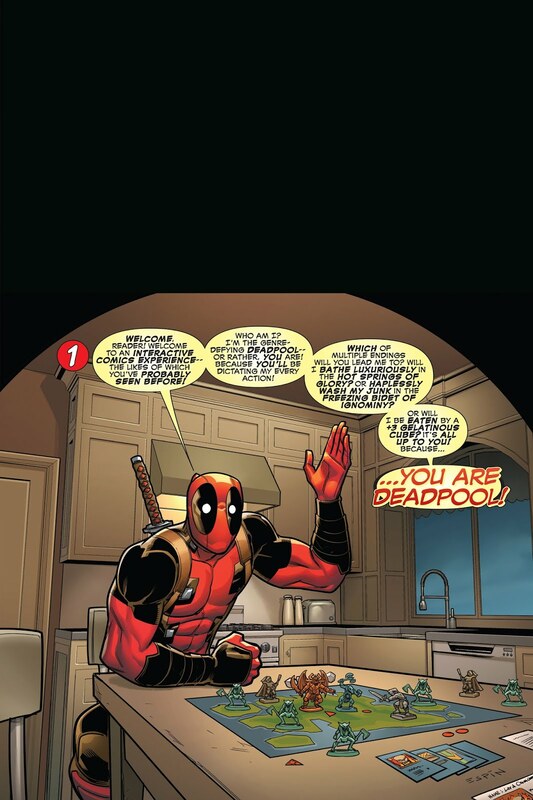 DID YOU EVER WANT TO BE DEADPOOL??? Now's your chance! This series is not JUST the most amazing comic book you've ever read…it's also a role-playing adventure! 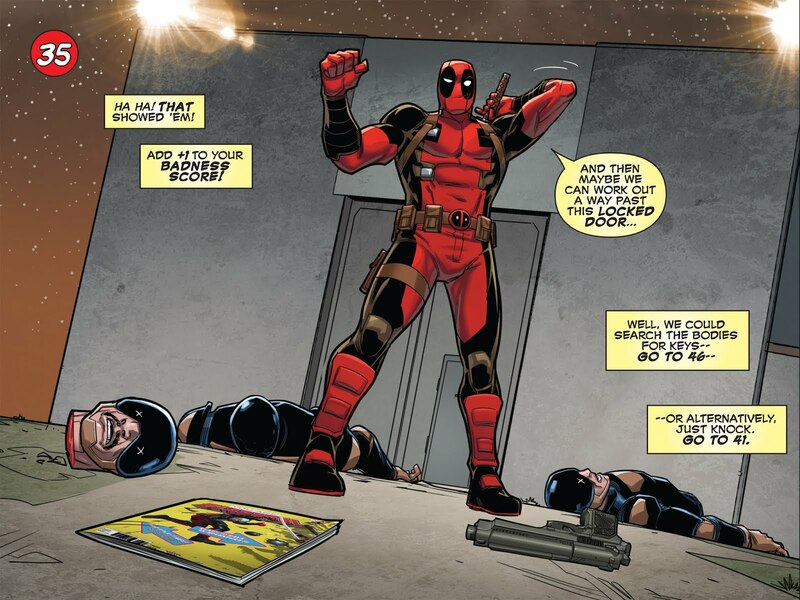 YOU decide what choices Deadpool makes! 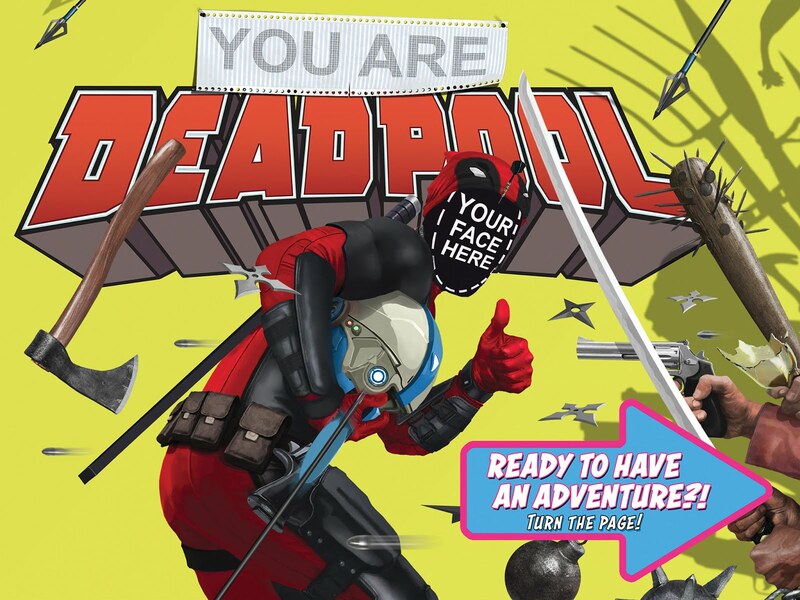 In honor of Deadpool 2, I decided to pick up the first issue of "You Are Deadpool." I've always been a massive fan of the 4th wall breaking superhero, so this was a no-brainer. Who wouldn't want to be a superhero and how many time have you tried to make your own choices for a character while reading a comic or watching a movie. 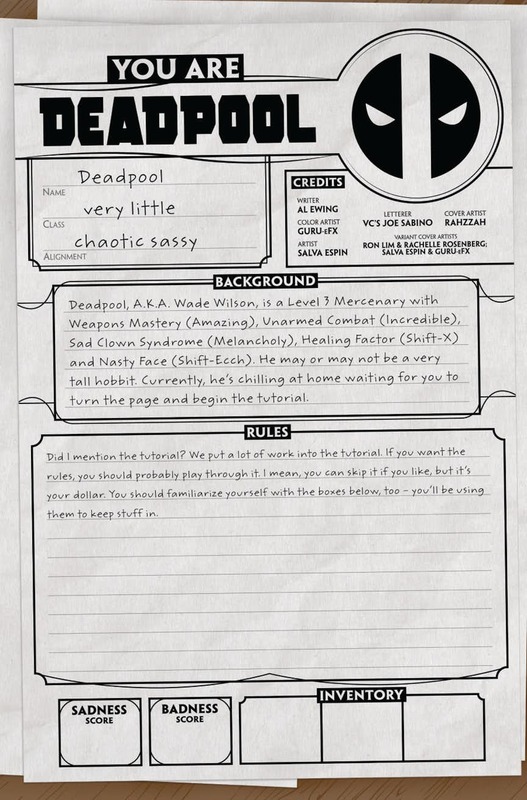 I love the choose your own adventure style of the book it represents the chaotic nature of Deadpool personally. At the end of the comic you add up your score on the provided score sheet, and from there you find out where your journey will go. Some readers will be directed to issue two while others will skip that issue. I thought this was a great comic this was the first #1 issue I ever had to cut up and fold, so I'll probably be going back and get another copy, so I have an NM+ version in my collection.